Ready. Set. GO! - Are You Kitchen Me?! Well… Here goes nothing! My first blog post! If you’re reading this, you are probably a friend of mine and don’t need to hear my life story summed up. You probably already know what I had for lunch today too, due to my slight addiction to Instagram. 😉 Sorry about that. Anyways.. For those of you not currently bombarded with my daily food pics, here’s a little background on me. I was born and raised in Columbus, OH, home of Jeni’s Splendid Ice Cream and THE Ohio State University. My family raised me in a traditional, modest home in the suburbs and, I gotta say, they did an exemplary job. I turned out alright, after all. My family is the most important part of who I am. My parents work incredibly hard to give my brother and me everything we could ever need and want. They inspire us to be the best people we can be and to always put others ahead of ourselves. Man, I love them! So I grew up; went to school (loved it), got to high school (hated it), and was released to the world in college. Somewhere in that time range I decided to become a vegetarian. People always ask “Why?”. After all I was about 13 when I made the decision and haven’t had an ounce of meat in the ten years since. I guess it was the first step in realizing that I wanted to control what goes into my body. Also, the idea of eating muscle just really freaks me out. I’ve never looked back. (Ok maybe when someone makes bacon….. But that’s about it!) I’ve been seriously interested in cooking for about a year now and have enjoyed becoming familiar with food from the other perspective. Realizing that food involves so much more than just cramming our faces with what’s convenient has showed me how beautiful and nurturing it can be. 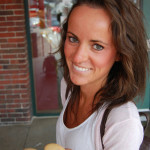 This blog is intended to be my outlet of creativity and passion for cooking, health, and fitness. I get many comments and messages on various social media asking for recipes, advice, and tips on eating and planning. Here, you’ll find them! Aka, no more clogging up everyone’s IG newsfeed with absurdly long recipes. I’ll also post about about whatever I’m thinking about, dreaming up, or being asked about! So your input will help! Have a question? What to know what’s in season and and easy way to prepare it? Dying to know how I manage to maintain a job, 18 credit hours in college, a relationship, AND a clean room?! 😉 Please please please let me know! I have a comment section but right now, this is for my friends and family! Text me, Facebook message me, or comment on a picture I post! Thanks for reading! Can’t wait to start sharing my recipes and ideas with you!